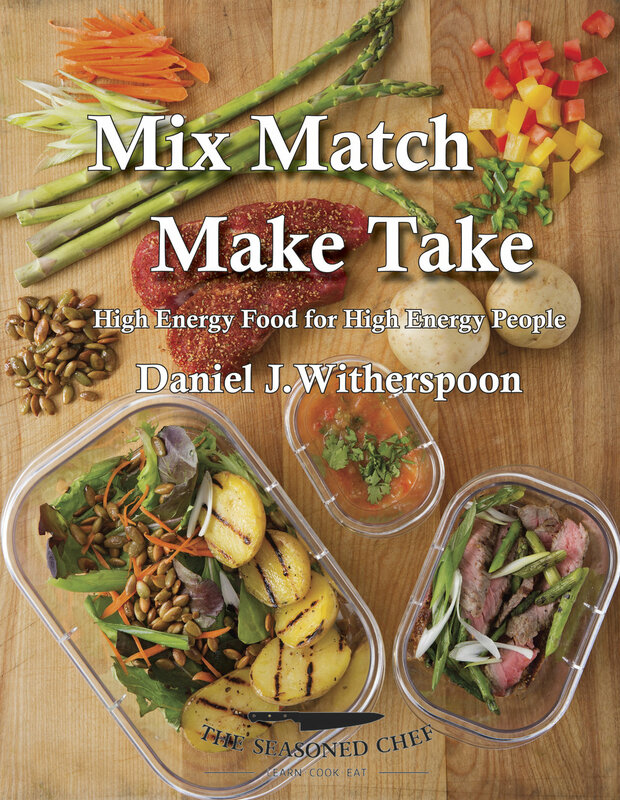 Our cookbook, Mix Match Make Take: High Energy Food for High Energy People, is ideal for the Colorado lifestyle, which is active and health-conscious. The secret is in the title, where the recipes can be rearranged and “mixed and matched” to your liking. Then, with the overstock, our word for leftovers, we explain how to “make and take” for the following days. For example, tonight you can make Pan Seared Flatiron Steaks with Chimichurri Sauce, Bacon Roasted Brussel Sprouts, and Roasted Fingerling Potatoes. Tomorrow, using your overstock, you can take Seared Steaks served on a bed of Mixed Greens with Cherry Tomatoes, Sliced Cucumbers, and Roasted Pistachios with Balsamic Vinaigrette as lunch or for dinner that night. Within the cookbook, we offer a complete list of menus that can be simply followed, or you can mix and match among proteins, foundations, vegetables, and flavors to your heart’s content. No matter what you decide to make for your family, our added goal with this cookbook is to make every single recipe travel friendly. Ideas are explained that make the second day meal easy to serve reheated in the microwave or as a variation with additional components and served cold. We are SO excited about this project! Each recipe has been thoroughly tested, retested and adjusted. We know they are good! And they’ve all been created so that even novice chefs will still feel right at home. The print book is now available and can be purchased here. The ebook in various formats will be available later this month on Amazon.